For those unacquainted with the series, Touhou can be somewhat of a confusing beast to understand. Ranging from bullet-hells to fighters, RPGs to platformers and now even dungeon-crawlers, it can be a little intimidating to figure out where exactly everything starts and ends in the Touhou Project. 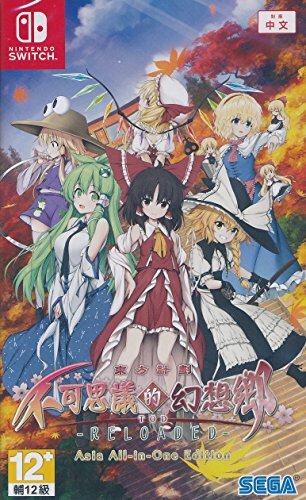 For the backstory on this particular title, Touhou Genso Wanderer is a fan-game based of the original (most bullet-hell) titles from Team Shanghai Alice. As a fan-game, Touhou Genso Wanderer Reloaded strays a little away from the standard genre found within Touhou games and instead is most comparable to the Mystery Dungeon games, as a dungeon-crawling roguelike. The “reloaded” portion of the name is there because this is actually a port of the previous version that had been on PS4. The game remains more or less the same, just now including the DLC and also being playable on Switch. The story is simple and easy enough to follow. The shrine maiden Reimu Haruki attempts to steal a magical golden sphere and accidentally becomes cursed by the ghost haunting it. From there, the story takes you into the many random dungeons, battling the dark creatures spawned by the mystical sphere. As previously mentioned, the Mystery Dungeon elements soon become extremely apparent as soon as you begin your dungeon-crawling adventure. Dungeons take the form of randomly-generated floors, offering new items, weapons, and party members to accrue along the way. Similarly, to Mystery Dungeon games, enemies only move when you do. This allows you time to plot out each move before engaging, creating a nice mixture between turn-based and real-time combat. Your maidens have a range of different weapons and magical attacks at your arsenal that can be used to wipe out the dark creatures from the mystical sphere as well. Magic spells can be used for ranged attacks, protection, crowd control, etc. However, being given only a certain amount of points to perform these “danmaku” attacks, you must be methodical with each usage. However, a lack of difficulty provided you don’t run past every random enemy you find, keeps there from being any real tension in most battles. And truthfully, that’s pretty much the entire gameplay loop. The enemies you encounter aren’t too incredibly exciting, only really ranging from shadow creatures to clones of the main characters. The lack of enemy variety and the extremely bland backgrounds and settings can make the game visually quite a bore. The playable characters, with their artwork and cutscenes look very polished and cute, but the rest of the game lacks variety and aesthetic. Perhaps if the story was more interesting, or the combat more fleshed out this aspect would be less noticeable, but all three major pillars of the game are flawed. In a more indie-game price range, these shortcomings may be forgivable, but at nearly full retail price, it’s hard to sell this game alongside better titles. 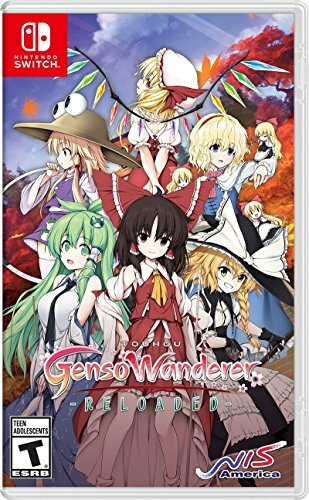 The charm makes me really want to enjoy Touhou Genso Wanderer Reloaded, but the high price and noticeable flaws make it a rather hard game to recommend. If you’re a diehard fan of Touhou, you’ll probably enjoy this game, otherwise I’d recommend waiting for a price drop. Touhou Genso Wanderer has tons of charm to share, but lacks in terms of combat, visuals, and story. At nearly full retail price, it is hard to recommend this game in it’s current form.